Searching for MetroCast Cable bill payment information? Are you new to the company’s customer base and want to learn how to make your first MetroCast Cable bill payment? Learn more about the company, what payment methods are accepted and who to contact, when you have questions. To make a payment online or manage your account, follow the link provided below on this page to the MetroCast cable bill payment login. You will also find useful “bill pay” information such as the credit card customer service number, payment mailing address, and billing phone number below. Pay Online: Register for online bill payments and you can pay by credit or debit card or deposit bank account. No convenience fees apply to any of these payment methods. You can make one-time and recurring payments via Online Bill Pay. Pay locally: You can also pay by contacting your nearest payment center. Use the online office locator below to find the nearest office, where you can pay by check, cash, credit or debit card. Any payment you make outside of your Online Bill Pay account won’t show on your account as being paid until the next billing cycle. You can either call Toll-Free on 1-877-337-5882 or contact the nearest office locally (see http://www.metrocast.com/support/contact for area information and local office details). If you want to open an account, move home within the same area or close your account because you are moving to an area not serviced by MetroCast Cable, call Toll-Free on 1-877-337-5882 and speak to customer support. If you wish to close your account, you must first return all MetroCast equipment to your nearest office location and settle all outstanding bills. Residential customers should call 1-877-337-5882 and talk to customer support. Businesses should phone 1-888-689-5077 to open an account, discuss upgrades or get technical support. You can look up various templates for service agreements online, if you want to narrow down the subject of your inquiry before calling customer support. MetroCast Communications is a provider of digital cable TV, On Demand, phone and high-speed Internet services, serving communities in Alabama, Connecticut, Maine, Maryland, Mississippi, New Hampshire, Pennsylvania, South Carolina and Virginia. The company reaches more than 897,000 people, making MetroCast Communications the 22nd largest provider of cable broadband in the US by coverage area. Looking to make your Midtel bill payment? Find out what payment methods are available, who to contact when you have a question and learn a few facts about the company. Midtel is Middleburgh Telephone Company and is one of the oldest telephone companies in New York. To make a payment online or manage your account, follow the link provided below on this page to the Midtel login. You will also find useful “pay my bill” information such as the customer service number, payment mailing address, and billing phone number below. 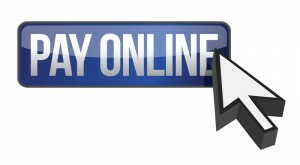 Pay Online: Midtel’s website allows you to make easy online payments via E-Z Pay. You will need to register first, before you can make payments using your credit card, savings or checking account. Accepted credit cards are MasterCard, American Express and Visa. Your payment will be deducted automatically from your designated account or card on the 10th day of each month. You can download a form from the website and complete it with your credit card, savings or checking account details and return the completed and signed PDF form to Midtel Cable TV. Pay by Mail: You can continue to pay by check, if you prefer, using the return address on your monthly bill statement to mail your payment. Be sure to enclose the remittance portion of your bill statement in the envelope or write your customer account number on the back of your check. Mail your payment to the Middleburgh Telephone Company, 103 Cliff Street, PO Box 191, Middleburgh, NY 12122. Do not send cash. To ensure your payment is received on time it is recommended that you mail your payment at least 5 business days prior to the due date shown on your monthly billing statement. Pay by Phone: The Midtel payment phone number is 1-877-827-5211. Speak to a representative at the Middleburgh Telephone Company office (1-518-827-5211) or send an email to [email protected], if you wish to open an account, upgrade services or close your account, because you are moving away from the service area. Office hours are from Monday to Friday, from 8.00 am to 5.00 pm (opening at 8.30 am on Wednesdays). If you have a complaint or general inquiry, you can write to the office at the above mentioned address or telephone customer service on 1-518-827-5211. If you experience any technical issues with your local phone, long distance phone or cable TV services, call 1-518-827-5211 or 1-877-827-5211 FREE. Any issues concerning your Internet service will be dealt with by the Internet Help Desk, which is manned 24 hours a day, 7 days a week and can be contacted by email via [email protected] and via phone at 296-HELP (4357) or 1-877-435-7966 FREE. Originally founded in 1897, The Middleburgh Telephone Company is one of New York State’s 40 oldest independent telephone companies, serving more than 7,000 customers today in Schoharie County and Albany County areas. Apart from long distance and local telephone services, the company also offers cable television and Internet services via its subsidiaries MTLD, Midtel Cable TV and Midtel Net to business and residential customers. Important: We NEVER sell or give access to your email address to anyone. Please Do Not mark this email as spam. Copyright © CreditCardPayment.net 2019 | CreditCardPayment.net is an independent review service and directory. The content presented may not be provided or commissioned by any credit issuer. Opinions expressed here are the author's alone, not those of any credit issuer or company, and have not been reviewed, approved or otherwise endorsed by any credit issuer or company reviewed. CreditCardPayment.net makes no claims, expressed or implied to any affiliation with any of the companies reviewed here. Although every effort has been make with regard to the accuracy of the information provided here, please review the credit issuer’s website for the most up-to-date information. All trademarks and copyrights are property of their respective owners. All rights reserved.